To send a broadcast to all subscribers, you need to get your page reviewed from Facebook first and foremost. To submit your page for review, go to your page. 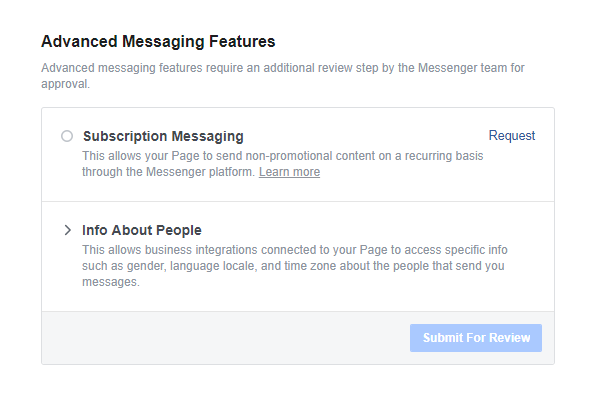 On the top right click on “settings” and then go to “Messenger Platform” on the left side menu. Scroll down to “Advanced Messaging Features”. Then click on 'Request' next to 'Subscription Messaging'. Fill out the information required and submit for approval. 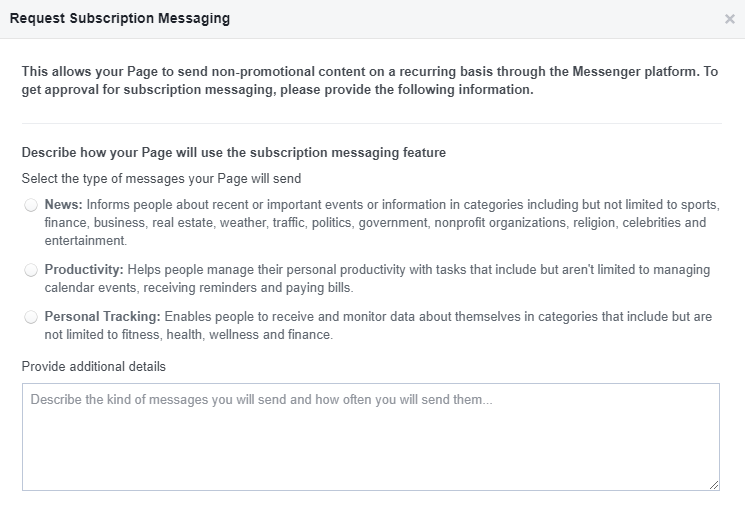 Once Facebook approves your page for subscription messaging, you will be able to send Broadcast Messages from Botsify to all the users that have interacted with your chatbot.